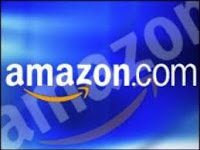 I love earning $5 Amazon.com gift codes from Swagbucks, and I love giving them away! In the last month or so, I've earned four $5 Amazon.com gift card codes. I'm giving them away to one lucky winner! This giveaway is open to readers 18 and older worldwide. It ends on Friday, February 17 at 12:01 am EST. To enter, use the Rafflecopter below! I hope to win these gift cards to help pay for diapers for our baby! I'm saving towards a kindle, so this would get me one step closer to buying one. I will give it to my daughter as a birthday gift. With four of us in college, I am sure I will use them for textbooks if I win! I would use it for makeup. I would use 'em to buy a Hare Krishna Zombie figure. Obscure to most, but well known to fans of George Romero's film Dawn of the Dead. If I won, I would put the GC towards a wireless mouse for my laptop. I'd use it to get some new reads. I'm saving towards a Valentines Day gift for my mom. I'll put it towards some kitchen aid pots I am saving for! I would buy a journal. I would use it to buy makeup and nail polish. I got a Kindle Fire for Xmas and have been filling it with e-books! That is what I would use the codes for...BOOKS! i'm saving codes for a kindle fire. I'm having a baby and have a tiny little car so I have to get a swanky European car seat if I want it to fit -- so I'm trying to win some gift cards to make it more affordable. I love Amazon - my whole registry is on there! I will get some tea for my Keurig. I'd use the gift codes for diapers. I am stacking up Amazon codes/cards to purchase a new TV for our bedroom, then a new TV for our daughters' bedroom they share, & finally a small TV for our son's room. I would use these codes to get some thin, knee-high dress socks. I only have crew and athletic socks, and that makes some of my dress shoes fairly uncomfortable. I would use it for books on my kindle. I would use it for groceries. I buy certain types of food by the case from Amazon. I'm saving for a kids bike for my cousin. I'd put it toward the purchase of a tent! I'm saving for Christmas 2012 - times are still tuff around here. I use them for anything and everything! I've bought a dashboard GPS holder, a power cord for my laptop, a refrigerator, in addition to numerous books! I have a couple of beading books in my card at amazon, so that's what I would probably spend them on right now! I would purchase a brand new Criterion DVD. I plan to use the gift codes for a book. I just ordered a Kindle from the cards I saved up from Swagbucks so I would use these to go book shopping. I will buy T discs for my Tassimo. Give it to my daughter for a birthday present. I would use this to buy a new book to read! Or maybe two. I will add them to my balance. I love watching it grow. I would put it toward a toaster oven. Gift for my Grandma's 73 birthday! I will give it to my daughter as a birthday gift. Thanks so much for the fantastic giveaway! To buy a Kindle (Fire)! I would be great if in your linky list, the blogs stated whether it was US Only, US/Can on WW (Worldwide). Thanks for the giveaways! I'd buy a new moisturizer to improve my wintery skin! I'm saving up for a cordless electric lawn mower. Amazon.com has great deals on Cranberry suppliments- I need some, recently suffered a UTI. I'd use it on books. Email in profile. I will use them for small birthday gift's. I'm saving up to get a single burner induction cooktop! Towels ...I so need towels.. I would buy the books on my wishlist. I would like to get Captain America on dvd and this would allow me to do it without having to feel bad about spending money. I would use this for e-books like Will to Win - a book about Tim Tebow and the Broncos. I want to buy the movie "bridesmaids" I haven't seen it yet but I am dying too. I would add it to my account to use for gifts this next Christmas. I would buy adkin bars. I think I would use it towards a Kindle Fire - my goal is to pay for one entirely with gift cards! I would like to get some K-cups. Thanks! I'm saving up for some new Wusthof knives - so this would definitely help! Thanks for hosting! Being a husband, father and homeowner, there is ALWAYS something needed. And Amazon sells most of it. I would use this for items on my wish list. I'll use them for a pH tester for my dog. Kitty Cartouche is my submission name. Thank you! I would like to use the gift code towards a new mattress pad for our bed. I would love to put the codes towards some new CD's or DVD's. i am saving up for a Keurig. I want to put it towards a wireless router. I would use it towards some perfume! I would but some books!or a book! I'd probably buy a book. I would use them to get some DVDs for my kids. I would LIKE to get a glass turntable for my microwave! Would use this for some Kindle books. Would love to get a couple of my 2012 to reads!! Would love to get the new Muppets Blue-Ray/DVD. I would buy a couple of books! I'd buy books or a new cookie sheet. I'd put them towards a Kindle! I'll add it to buy a bracelet for myself. I have so many things on my amazon wish list, this would help to get some of them on my list. I will use it to get a free bottle of my hubby's vitamins that cost over $18! I want some red boots! i would spend them on presents for birthdays that are coming up this year. during summertime there are a lot of them. I'd use it on new CDs or books. I'm in grad school so...BOOKS! I plan on buying some new books for my 2 yr old son. I'm in college so I would put it towards books. These would go towards books that I have on a wish list. i would add them to my account. i save up my amazon all year to help out with buying my 5 kids christmas gifts. I am saving up to replace my recently deceased printer, so this would CERTAINLY get me closer to that goal! I'd use it for books for school! I'd buy some books from my Amazon wishlist. I plan to use the gift codes towards some shoes on amazon that have caught my eyes! i would put it towards a car seat! I love to buy books for my son on amazon! I just love the selection of kids books! I would finally be able to get something off my Amazon Wishlist! I have a son in college and a daughter starting college in the fall. So I would use the codes to buy books for school. I love books and DVDs!! need more books for my kindle, so I'd probably use it on that. I would buy a couple books for my kindle. I hope it's not bad that I have a list of self help sorta relationship books that I get as I can so my husband and I can do all that fun work on communicating better? I hope to win this for my dad. I'd love to buy some books. We need some new pots and pans... This would help. Thank you. I need some things for my cell phone. I would buy a DVD for my kids. I plan to use it for books! I love to read so naturally I'd use it for books. I'd use it for birthday gifts. Amazon has everything! I plan to buy some sheets. Thanks so much! I would probably use it for diapers for my toddler! If I won, I would use the $20 Amazon.com gift codes towards purchasing a pair shoes that I need.